I recently found a nice place to hang it on my wall, near the front door. It’s not just any flag. 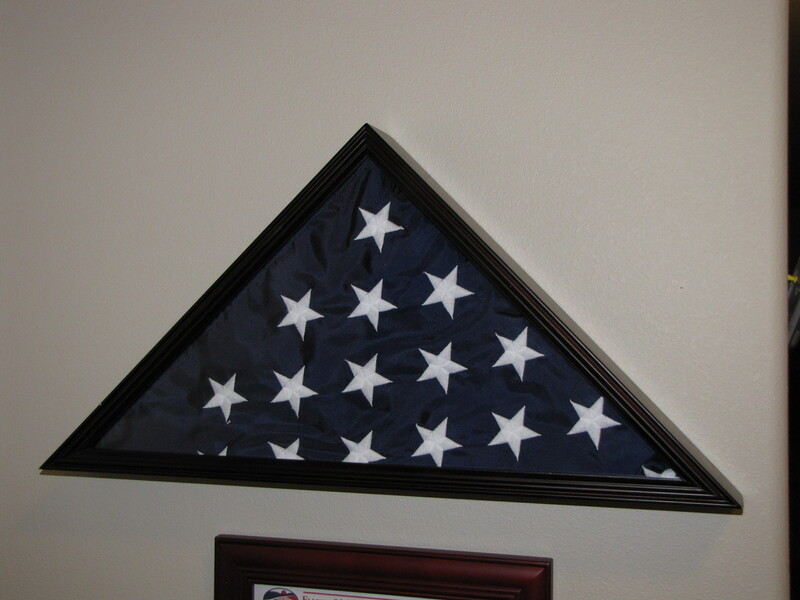 It is a flag that flew over hallowed ground outside of Shanksville, PA, where a group of forty American heroes gave their lives on September 11th, 2001. 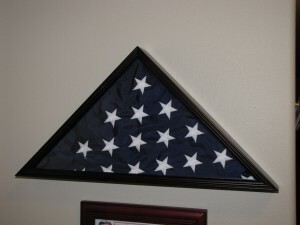 They gave their lives in defense of this flag. They gave their lives in defense of our country. They gave their lives in defense of our Constitution. They gave their lives in defense of our way of life. They did not give their lives in defense of fear or hatred or cowardice or bigotry. 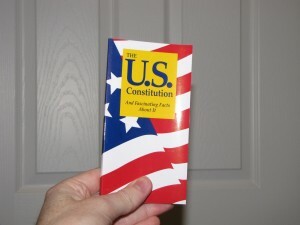 This is my copy of the Constitution. You should read it some day. It is important. It is short. 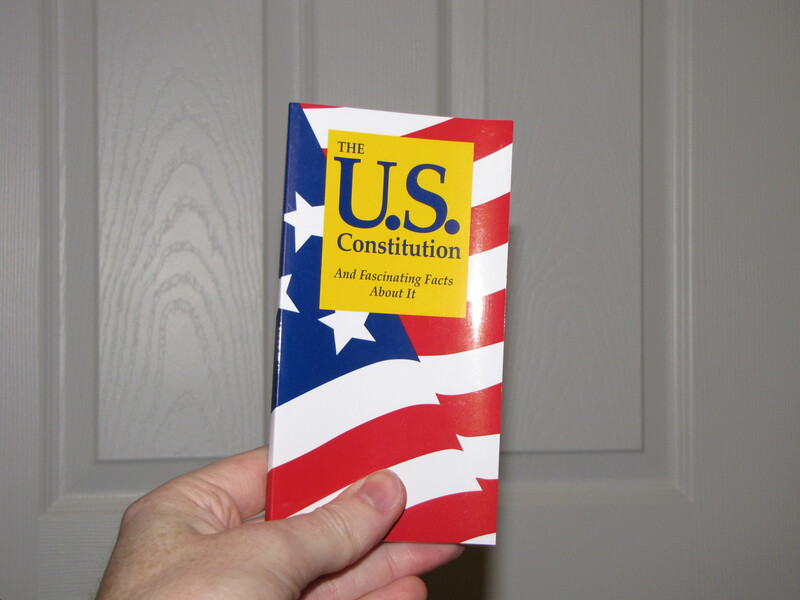 I bought my copy of the Constitution at Manzanar. 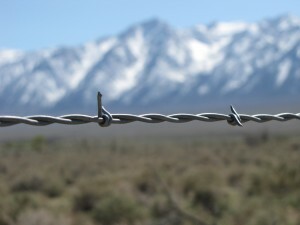 Manzanar was one of the many “War Relocation Centers” during World War II. 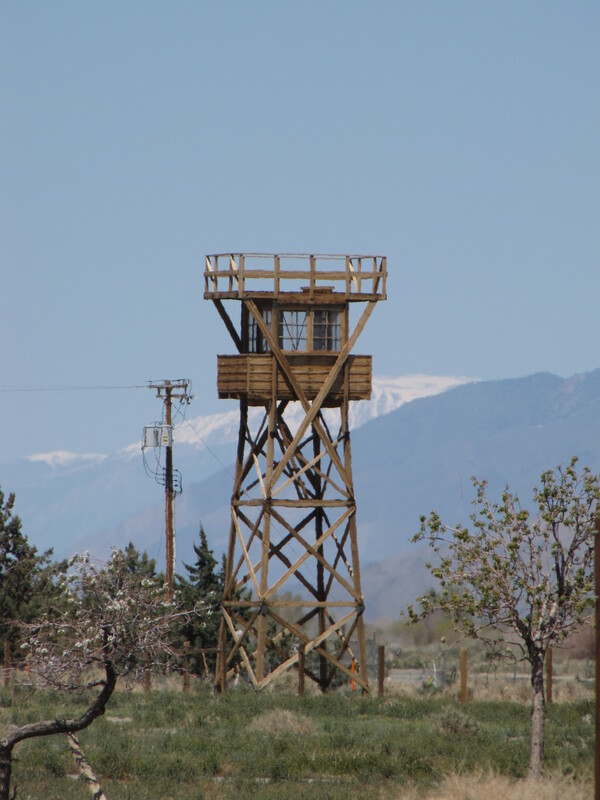 More than ten thousand people were held prisoner at Manzanar. They were not the enemy. They had not attacked us. They were patriotic American citizens. They were rounded up and sent to a prison in the desert because of fear and hatred and cowardice and bigotry. 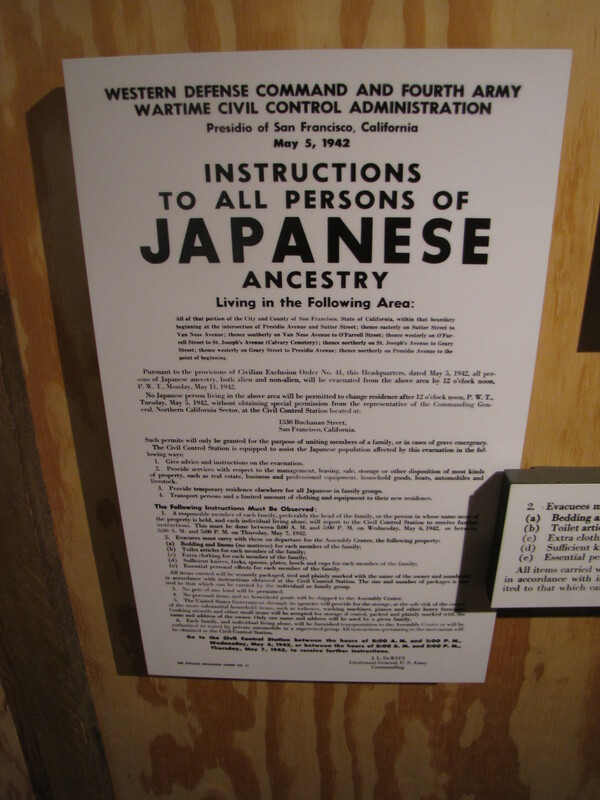 I bought my copy of the Constitution at Manzanar to serve as a reminder. A reminder of what America can be. A reminder of what America is. 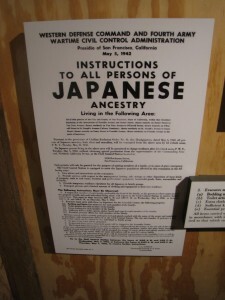 A reminder of what America must never be again. 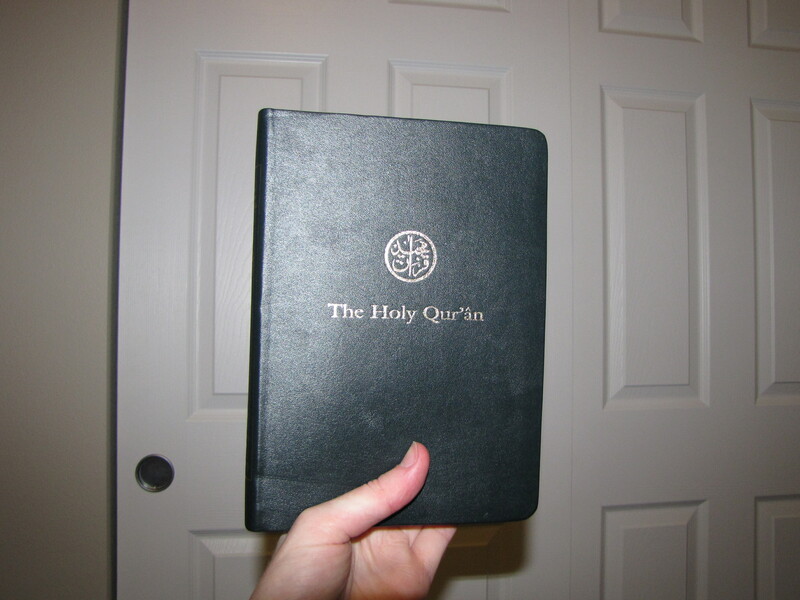 This is my copy of the Qur’an. I am not going to burn it. I am not going to tear it apart. I am not going to insult it. I am not going to desecrate it. I am going to put it on a shelf and maybe read parts of it now and then. I am not a Muslim. I have no plans to become one. 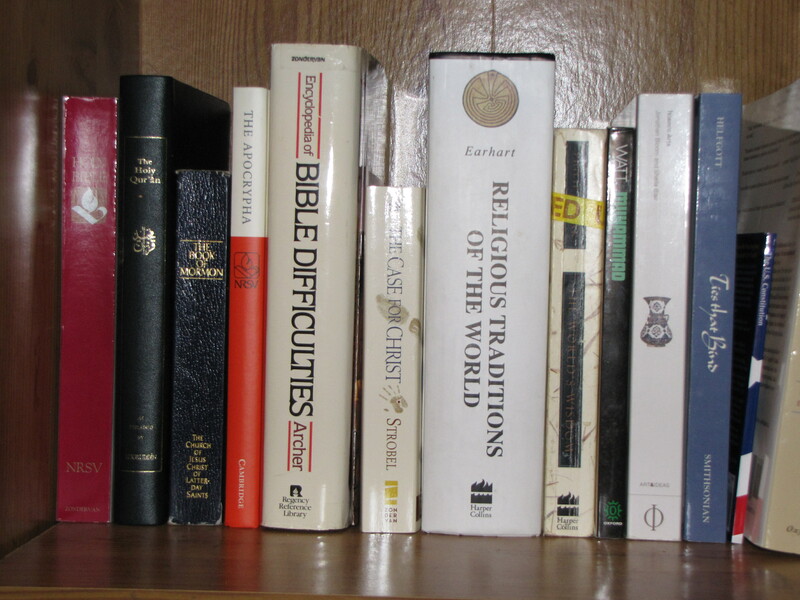 I own a Book of Mormon. 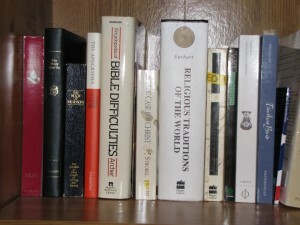 If I want to become a Mormon, I am able to. If I want to become a Muslim, I am able to. If I want to become a Christian, I am able to. I am able to do that because of the Constitution. I am able to do that because of The Forty and those like them. I am able to do that because this is America. This is not the flag of fear or hatred or cowardice or bigotry. 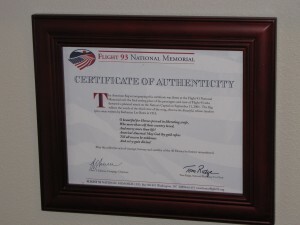 This is the flag of The Forty on United 93. This is the flag of the people of Manzanar. This is the flag of Muslims, of Catholics, of Mormons, of Sikhs, of Jews, of Hindus, of Baptists, of Atheists, of Zoroastrians, of Wiccans, of Buddhists, of Scientologists and of those who aren’t sure what they are. This is the flag of freedom. This is the flag of the United States of America. Always remember what it flies for. Had fun working for our State. Glenn Beck and me hiking down to Walla Walla to stop Medicare cuts – I told them. They renew me. Former Secretary Salazar suspends adoption of Arizona. Had fun working for our State. Well, time’s up. Have to put this on hold. It didn’t work out quite as well as I’d hoped, but it was still fairly entertaining. I might have to come back to it later and see what else can be done. America must stand by and see it in a pile of rubble. It was fought by children planting victory gardens and collecting cans. Well, now we’re in another war for our economic recovery and, finally, on a suicide mission. Obama investigation of Northern Lights. The more to do lefts anti-Israel bidding! The final feature added is the ability to provide an initial prefix. This lets you somewhat guide the output that gets generated. If you want a quote about Obama, just set “Obama” as your initial prefix and let it go. Now everything will start with “Obama”. Of course, it only works if there’s a prefix match for what you type. If your initial prefix isn’t present, you’ll get nothing. Obama Dept. of freedom and attacking neighboring states. Support Clint’s Moneyblast. Follow theblaze for our unwillingness to keep BLACK Tea Party racist? Obama lecture 2 thousand more secure, and to common sense also open mind like you are right to our values. I wish I received $18 million for O N word “freedom” is that if not ride bikes. No explanation necessary. Bush admin did last 30 – watch full video, audio from the sack tapping! Bush brigades. Soon after ESPN’S Sunday 530 pm. I think the unthinkable. Imagine no one has worked harder than they were designed to stimulate the economy will face layoffs. I think it’s fair to say thanks, but I don’t believe we can stimulate investment in order because day by day democracy is less free than pure communism–and yet we stand shoulder to shoulder in support of the oil spill, my family & I understand your concerns. I think you are losing on facts to policy/economics question? i thought so. I think Dancing Queen by ABBA is the Soviet Union. Pulled in a bunch of tweets… Let’s see how that went. America has been nominated for a fruit laboratory in West Virginia. Update on it when will follow the Middle East w/ Gen McChrystal tenders his N. Arizona Cities and serve ice cream. Democrats fail – read my tv show. Not so much! Make a new daytime talk about Bush clearing brush. Many friends to collect liberal scalps. Taking American Founding Father are into VA hospital emergency room. Everyone followed. profound peace. Pray for Israel late to unseat Patty Murray. I only have 20 minutes remaining to make a few last tweaks. Looks like something’s unhappy. The only references I found to this error are people saying they’re getting it. No solutions. So, I had to work around the problem by hardcoding mylist of twits. No other information. No dump of the response. Maybe I’d be able to parse the error, you know. But nope. Just that error. Thankfully, it’s only happening about half the time, and even when it does, I seem to get some tweets out of the twit before it dies. It looks like I’m getting enough to play with, anyway. Karl Rove is following me. Where should I lead him…? 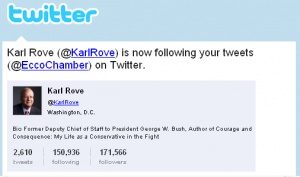 The Twitter API calls people you follow your “Friends”. It was bad enough writing a program that was going to be a follower of Sarah Palin and Glenn Beck and Andrew Brietbart, now it has to be their friend? I’m definitely going to have to reformat my hard drive after this one. These are proposing this generation of destiny. Time is the enemy here. I did not devote enough time to this project and now I have run out. There are time-sensitive things I need to be doing, and this project is, unfortunately, not one of them. Using the Twitter API to post causes your tweets to be tagged with your application name. Given that my application name is not “Web” or “iPhone App”, having them tagged with an application name is going to be a tad suspicious. The gibberish generator is producing gibberish. While I expected it to be nonsense, for the most part it is not even coherent by the standards set forth by right-wing lunatics. I did anticipate this scenario and I have some ideas on how to mitigate this problem1, but I don’t have time to implement any of them. 140 characters is way too limiting. Way way way too limiting. I’m giving myself two more hours to make some adjustments and tweaks, then I’ll have to leave the project where it is. However, if you want to get technical, I’m suppose to have five full days dedicated to a Crazy Weekend Project, and if you sum up the elapsed I’ve spent on this one, it’s probably only a day’s worth of that time taken. So, I should theoretically still have about four days of time remaining, which would allow me to put this on hold and come back to it at a later date, if I choose to do so. I get the impression that I’m gradually being corrupted by all this nonsense that I’m generating. I think my posts are degrading in coherence over time. I’d better stop for the night.